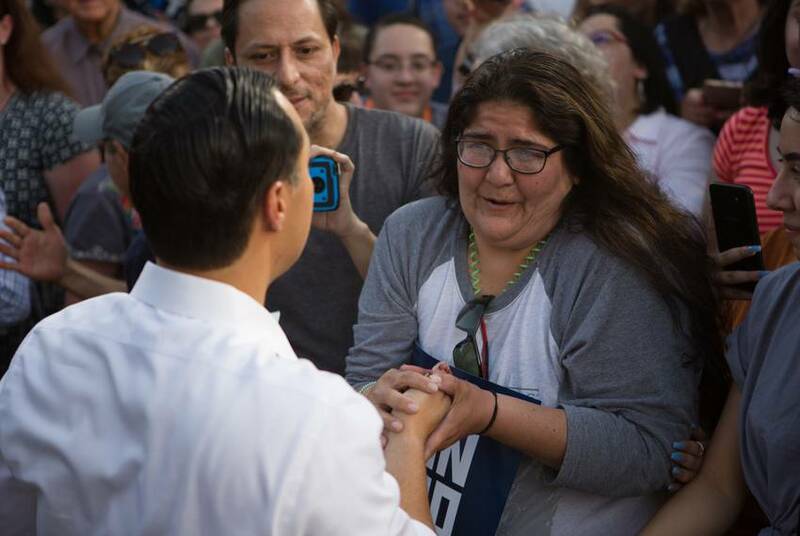 SAN ANTONIO — Democratic presidential candidate Julián Castro sought Wednesday evening to seize the spotlight that President Donald Trump cast on his hometown with a fundraising visit, holding a counter-rally to denounce the president's immigration policies as an "absolute failure for our country." "We're here today because we believe in people first," Castro told a crowd of a few hundred people at a park in downtown San Antonio. "We're here today because we choose compassion over cruelty." 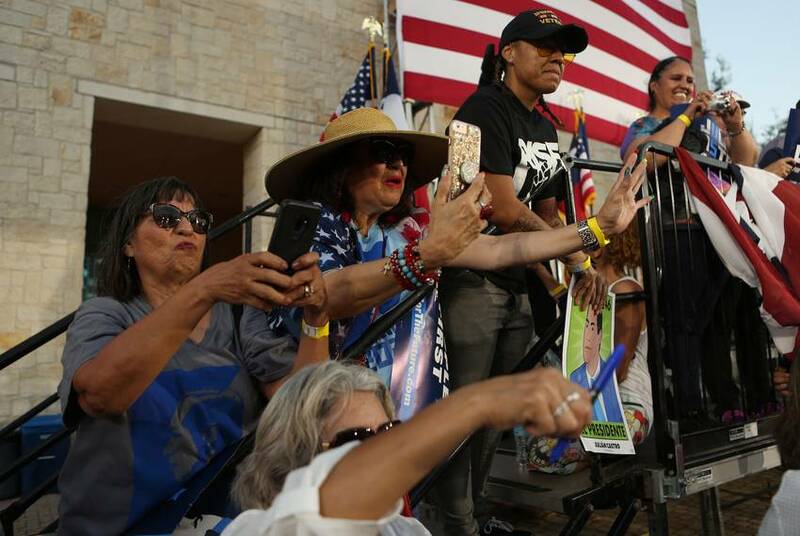 The rally, which came several hours after the Trump fundraiser in San Antonio, gave the low-polling Castro an opportunity to stand out in an increasingly crowded Democratic field. He used it to showcase the immigration plan that he unveiled last week, which calls for decriminalizing illegal border crossings and instituting a 21st-century "Marshall Plan" for Central America, among other things. 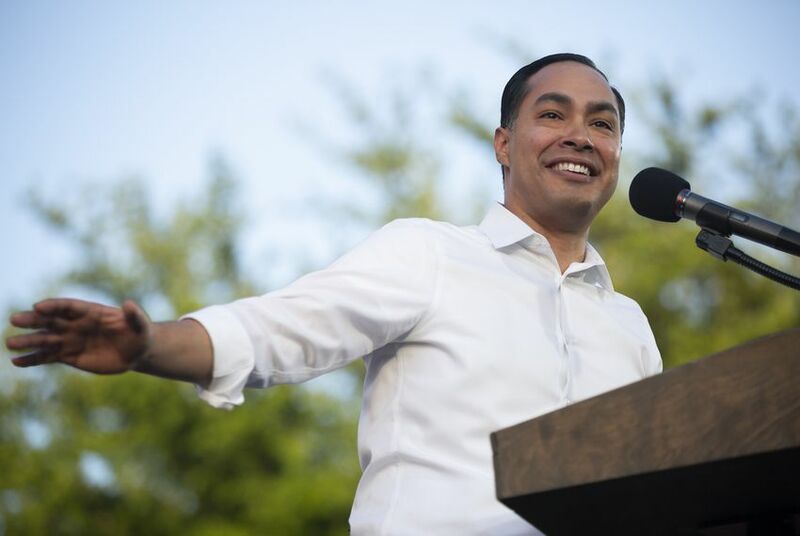 It's the most detailed immigration proposal by a 2020 contender yet, and Castro leaned into the distinction Wednesday evening as he recalled a recent headline questioning why he is the only candidate with such a plan. "That’s a good question. That is a good question," Castro said. "I mean, we know that this is the issue that this president has made front and center in his campaign. So why wouldn’t every candidate have an immigration plan?" Castro added that he wouldn't speak for other candidates but will speak for himself. "I'm not afraid," Castro said. The rally evoked the one that another Texas Democrat, former U.S. Senate nominee Beto O'Rourke, led in February when Trump visited O'Rourke's hometown, El Paso, to hold his own campaign event. At the time, O'Rourke was considering a White House bid, which he announced the next month. 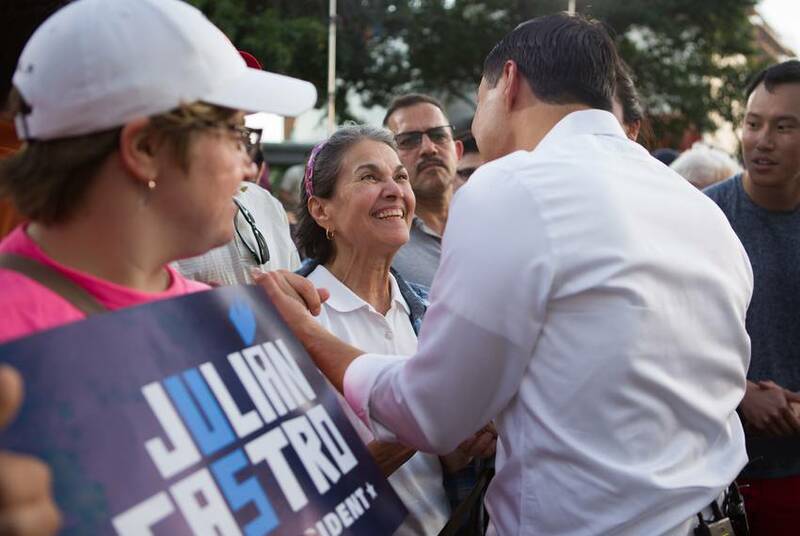 Castro's rally Wednesday did not match the scale of O'Rourke's — or garner the same national media attention — but nonetheless drew an enthusiastic audience. 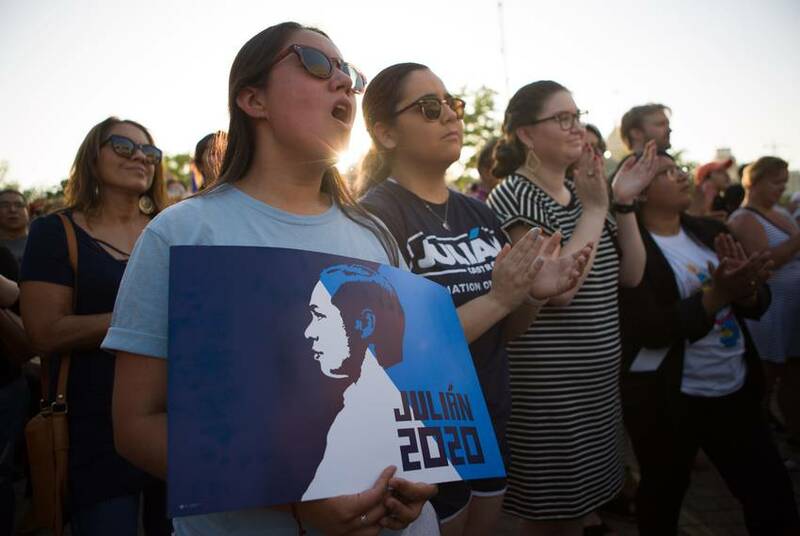 "Even before he got onstage, you can just tell everybody was excited to be here and to stand behind his message," said Alyssa Valdez, 18, a high school senior who voted for O'Rourke in November but indicated she was leaning toward Castro in the presidential race due to his immigration plan. Castro's rally came several hours after Trump began a daylong trip to Texas with a fundraiser at the Argyle club in San Antonio's affluent Alamo Heights neighborhood. Trump later headed to the Houston area, where he first signed two executive orders related to the energy industry in Crosby and then held another fundraiser at the Lone Star Flight Museum at Ellington Airport. Trump didn't publicly acknowledge Castro on the trip like he did with O'Rourke in El Paso. But Trump nonetheless gave Castro material in San Antonio, where the president unexpectedly opened part of his fundraiser to reporters to impress upon them the dangers of illegal immigration. "Dangerous people are coming here and the good people are dying," Trump said, flanked by Lt. Gov. Dan Patrick and local ranchers. "This has nothing to do with politics, this has nothing to do with campaigning. ... Who the hell can live like this?" It was that kind of rhetoric that Castro railed against at the rally as he shared his grandmother's story of coming to America from Mexico and hailed his hometown as a city that embraces immigrants. He did not mince words on Trump's immigration policies, singling out two things as "downright stupid": Trump's recent threat to shut down the border as well as his move to cut aid to Central American countries. 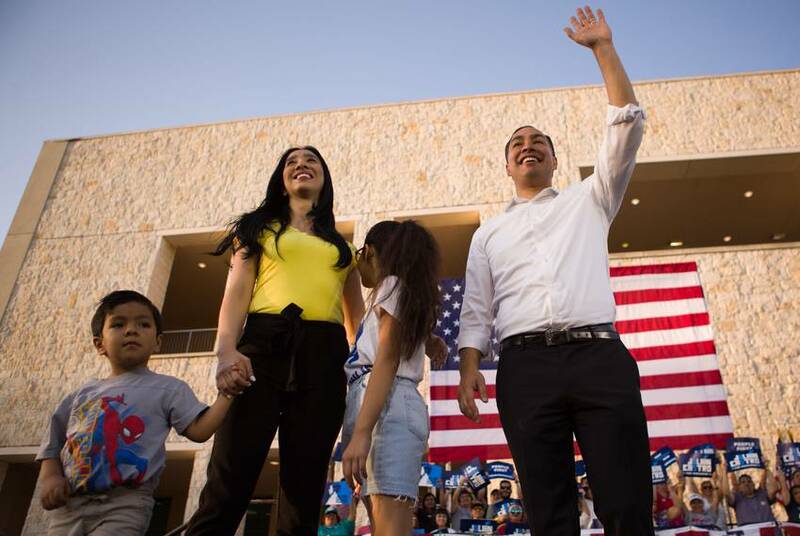 The rally marked the biggest event of Castro's campaign since its launch earlier this year, and it came as national attention around him has ticked up with the release of his immigration platform as well as a CNN town hall planned for Thursday night. Still, Castro rarely registers above 1% support in polls and is not among the candidates who have been touting first-quarter fundraising figures ahead of the Monday deadline to disclose them to the Federal Election Commission. "We're gonna release those numbers in a couple of days," Castro told reporters after the rally. "I've been very pleased to see our fundraising has accelerated tremendously over the last couple of weeks."